Strawberries are big business. Really big business. In fact, the strawberry industry is a multi-billion dollar worldwide business. And, the market keeps getting bigger and better – just like the strawberries themselves. Since there is so much money to be made selling one of the world’s most delightful and relatively easy to grow fruits, new varieties are constantly being developed, refined, and even engineered by manipulating the genetics of the strawberry plant itself. While I am not keen on the artificial manipulation of the core genetic structure of any food, much less something already as delightful as strawberries, it is hard to argue that something new seems to always be making headlines regarding strawberries. Now, the latest in the strawberry color scheme is available for your home garden: purple strawberries! Up until this year, there were only three naturally occurring strawberry colors available commercially. The traditional and famous red strawberries need no introduction or explanation. The white strawberries have been around for quite some time and have recently burst onto the scene again with the emergence of the popular Pineberry variety. Yellow strawberries have also served a smaller niche market. But, those were the only options. No longer! Add to the color options the latest introduction from the W. Atlee Burpee company, Purple Wonder strawberry plants. Purple Wonder Strawberries: Details, GMO? Many people these days are concerned about genetically-modified foods (often dubbed Frankenfoods due to their unnatural altered genome). Fortunately, Purple Wonder strawberries are NOT a genetically-modified organism (GMO). This variety has been bred by natural means by the small fruits breeding program at Cornell University. The process for bringing new cultivars to market can be extensive and time-consuming, and this burgundy variety was in development since 1999. Finally, the official Purple Wonder strawberry cultivar was released on March 5th, 2012, 13 years after its development began. The result of this extensive trial and development process, however, is a final product unlike anything else available. These medium-sized purple strawberries are very sweet and aromatic and carry an exquisite strawberry flavor. They ripen from creamy white to deep burgandy, and the color develops all they way through to the center of the berries. This makes them a fine candidate for any culinary use that gains from deeper color. It is well-suited for both strawberry wine and strawberry preserves. The trials were predominantly performed in Michigan, Illinois, and New York and met with much success, proving their hardiness. They should do well across the temperate regions of the United States, particularly in the Midwest and Northeast. Also of note is the fact that purple wonder strawberries produce very few strawberry runners. This makes them an ideal choice for container gardens, small spaces, and square-foot gardening systems. They are a poor choice for large matted row systems and pick-your-own farms. If you want to grow your own purple strawberry plants, click the “Purple Wonder” link above to buy them directly from Burpee. 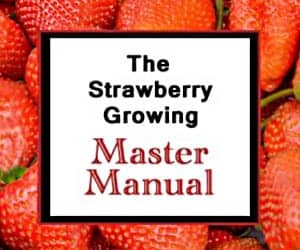 If you want to price shop any other variety available for ordering online (including the other strawberry colors), see the directory here: Buy Strawberry Plants. Most of the varieties there are the regular and delicious red-producing ones, but the white and yellow producers are also available. While some say that the strawberries are more a deep burgundy color instead of purple, they are noticeably darker and different from even the deep red strawberry varieties. So, if you are adventurous, why not order a few plants for your garden and spice up your life with something new! And, fret not. The Purple Wonder is not a Franken-fruit GMO. It was selected and developed for 13 years through the typical process without use of recombinant gene-altering technologies. So, once you have grown and harvested some yourself, be sure to visit again and leave a comment about your experiences! Where can I buy the legit purple strawberries? The only legitimate purple strawberries are available here. Good luck! I’ve got blue, purple yellow & black strawberry seeds. I’ve got a two part question when is a good time to grow? Should I be able to get fruit this year? Unfortunately, if you bought them on eBay or Amazon, you likely got hosed. See here. I’m sorry! Unfortunately Carol, you have been scammed. Black and blue strawberries​ do not presently exist. If you are looking for real varieties, look for yellow, white, purple and regular red. Hope this helps. My purple strawberries are quite small and red in colour. If I leave them on the plant will they turn from red to purple? If you bought the Purple Wonder strawberries, I would let them continue to ripen and see if they will darken in color as they ripen. If you bought a “purple strawberry variety” from any other place (especially eBay), you likely got regular strawberry plants instead of the ones that produce the purple berries. I’d just go ahead an pick and eat the berries if that is the case. Good luck! How is the purple wonder different than the cavendish? It sounds very similar regarding color and runners being minimal? The Purple Wonder strawberry plants bear fruit that is darker than the Cavendish variety. The deepness of the color is more purplish than the Cavendish, and the flavor of each is slightly different. Hope that helps! I ordered these 4 months ago and cared for them very well. However, the plants that grew are nowhere near a strawberry. The leaves are a completely different shape etc. my neighbor says the plants smell slightly minty. How do i get my money back/report this scam?? I’d recommend contact the supplier from which you purchased the plants. They will likely send you replacements or give you your money back. Good luck! If I have an allergy to strawberries, would I have an allergic reaction to these purple and ones?? I dont have one when it comes to the white strawberries. Just wondering if you would know. Yes, you probably would still have a reaction to the purple ones. The bioflavonoid that is responsible for allergic reaction in most people is actually more prevalent in the purple ones, so the reaction may even be more severe. The white strawberries have less of the flavonoid, or, in some cases, it is absent altogether. Good luck! I have planted strawberries & want to plant purple wonder & pineberry. Will these coexist in the same bed? Yes, the will coexist happily together! Good luck! If you plant seeds from the berries of this variety, will you get the purple wonder or just a rabdom strawberry? . F1 hybrid? The chances are good that you will just get a random strawberry, if the seeds germinate. Although the probability is not good that you’ll get a purple strawberry from plants grown from seed, it can’t hurt to try. Good luck! Blueberry tomatoes are just blue tomatoes. What is the deal with blueberry strawberries? I’m not aware of any blueberry strawberries. Can you send me a link to the type of strawberry to which you are referring? Hi, black strawberries do exist & have been selling on ebay in Australia for quite some time as well as some other unique varieties that are not mentioned on here for some reason? Do a quick search & see for your self. Just type in rare strawberries. I did a search as you directed and didn’t find any suppliers that appeared reputable. I did see several photoshopped images. When you get yours grown, please do send me an unedited photo of the final product! Thanks! To my knowledge, there are no black strawberries that are naturally that color. They can be dyed black, painted black, or black and moldy, but I wouldn’t recommend sampling any of those! Thanks! I’ll start with the two and see where that takes me! Since the Purple Wonder have very few runners, how do they multiply? I plan on buying 2 plants but that won’t get me enough berries to make some jam. They do produce runners, just not as prolifically as some of the more exuberant varieties. It would be easier to make preserves with the fruit from more plants. But, if you do save the runners and plant them, next year could be quite productive even if you just get two this year. Good luck! I have a question, I just recently planted an everbearing strawberry plant in my existing strawberry bed and when it started to flower, the flower came out a reddish pink color, is this a different variety than I thought it was, I have only ever seen white flowers on the plants. Yes, it is probably a different variety than you thought it was. There are several varieties of strawberries that have pink flowers, but they are crosses. You may still get some strawberries from them, so give it some time and care, but the pink-flowered varieties were developed primarily as ornamentals.